Priya Lane is the Director of the Lawyers for Civil Rights’ Economic Justice Project, which provides minority, immigrant, and women entrepreneurs with free legal assistance, technical support, and education. Daily, Priya works with aspiring or current business owners with big dreams but limited resources. Priya helps close this opportunity gap. She provides them with the legal tools they need to succeed, helping them develop sustainable businesses and achieve economic self-sufficiency. Under her leadership, the Economic Justice Project has grown exponentially and is now serving over 500 small businesses annually (90% people of color; 60% women). Priya actively conducts legal clinics and workshops, provides one-on-one legal consultations, and matches businesses with pro bono attorneys. In response to the current climate, Priya launched innovative culturally and linguistically accessible programming to help business owners navigate the specter of federal immigration enforcement. She also successfully created an annual small business conference, BizGrow, which connects hundreds of entrepreneurs to free legal and technical support in a single day. 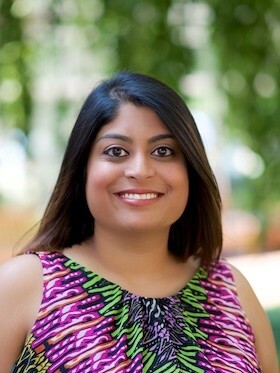 Priya’s work is regularly featured in publications such as the Boston Business Journal. Priya is a 2013 graduate of Northeastern University School of Law, where she coordinated a chapter of the Iraqi Refugee Assistance Project (IRAP). During law school, Priya interned in the Asian Outreach Unit of Greater Boston Legal Services, the U.S. Attorney’s Office of the District of Massachusetts, and with Massachusetts State Senator Karen Spilka.